Labsys high quality disposable Petri Dishes are suitable for all bacteriological applications. Robust dimensional accuracy of 90 mm ensures compatibility with most automated systems. Extremely high optical clarity for easy view on microscope. Vented Dishes have elevated lid that allows for superior gas exchange and evaporation. Non-Vented Dishes have flat lid that prevents evaporation encouraging long incubation period and anaerobic application. Shallow dish design allow for maximum use of incubator space. 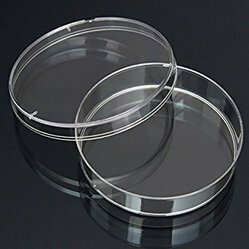 Labsys Petri Dishes are also available in two & three compartment that enable parallel testing of single sample using different agar, solvents and reagents. Glass dishes feature reinforced beaded edges to resist mechanical breakage and to aid in centering the bottom inside of the cover. The material remains clear after repeated wet or dry sterilization cycles. Inner surface of the these Dishes have a very good flatness. 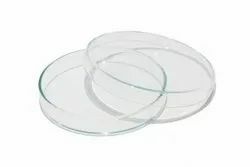 The accuracy of many biological assays depends on the flatness of the inside base of the Petri Dish. Looking for PETRI DISHES ?